Choosing the perfect dog bed does actually go beyond the question of 'will it match my interior style?'. Obviously, this is a big part of the selection process when you're looking to buy a pet bed, but along with considering colourways and funky patterns, you need to think about important factors, like the size, age and sleeping style of your four legged friend. Is your pet a sprawler or do they do they tend to burrow? Do they like the comfort of sides or something more open? Do they need any extra support? You can check out all of our pet advice features over on our hub page. 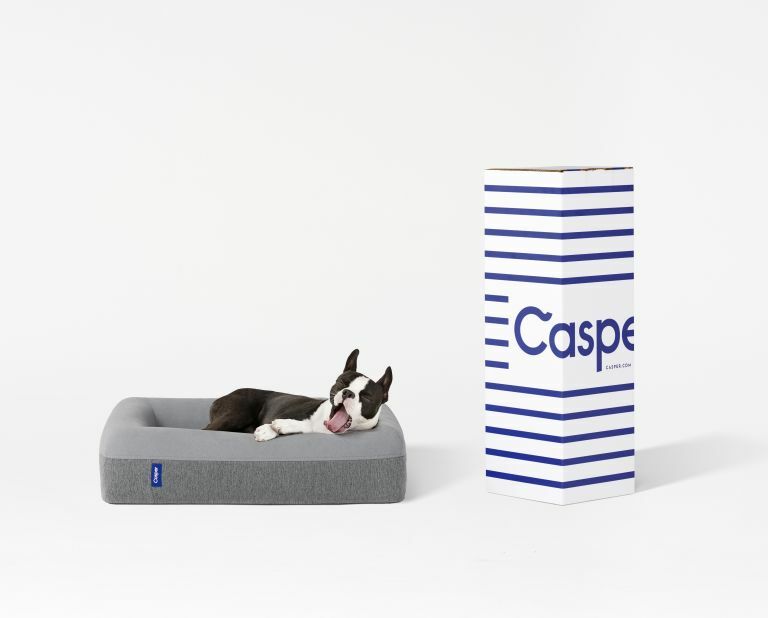 Engineered by the same team behind the coveted Casper mattress, this doggy sized variant is a durable, pressure-relieving memory foam bed with a removable, machine-washable cover, plus it features excess material on top to mimic the sensation of pawing at loose earth so your doggy can dig before laying down. It also conveniently comes with the same 100-night guarantee and the 30 night trial as the human sized mattress. Woof woof. See our review of the Casper mattress (for humans). If you were concerned that your pet bed might disrupt your immaculate style, just look at this gorgeous offering from Cox & Cox. Suitable for cats and small dogs, this bang on trend rattan pet cocoon comes complete with a cosy machine washable cushion. Can someone make this in human size please? With its nest like shape, the Ralph & Co bed is perfect for those dogs and cats who like to curl up and feel some protection whilst they sleep. The cover (which comes in loads of stylish colours and patterns) is removable and machine washable, plus this pet bed comes with a reversible cushion with matching fabric on one side and fleece on the other, just to up the comfort levels. There are three sizes for you to choose from. Looking for a stylish pet bed on a budget? This is the one for you. Hyko’s fitted with a removable cushion cover. And it’s machine washable too, so you can always keep you pet's sleep space clean. Plus its sleek design, white faux sheepskin cushion and subtle colours will fit in pretty much any interior style. This bed has been hailed as the best pet bed for animals who are recovering from illnesses or getting on a bit. The luxury memory foam mattress moulds to the pet's body for supreme comfort and cushions joints and muscles to help relieve aches and pains. It's available in four sizes, including a very roomy extra large.